An extraordinary life is your birthright. What "extraordinary" means to you is highly personal. It may mean living a quiet life off-the-grid in the woods somewhere... or it may mean being the CEO of an international business. Only you know what is the most joyful expression of your heart. So it’s time to be the masterful creator of this great life you are meant to be living. But when things in your life aren't looking the way you want them to (be it health, relationship, career, finances or anything else) 99.99% of the time it's because of your subconscious programs. 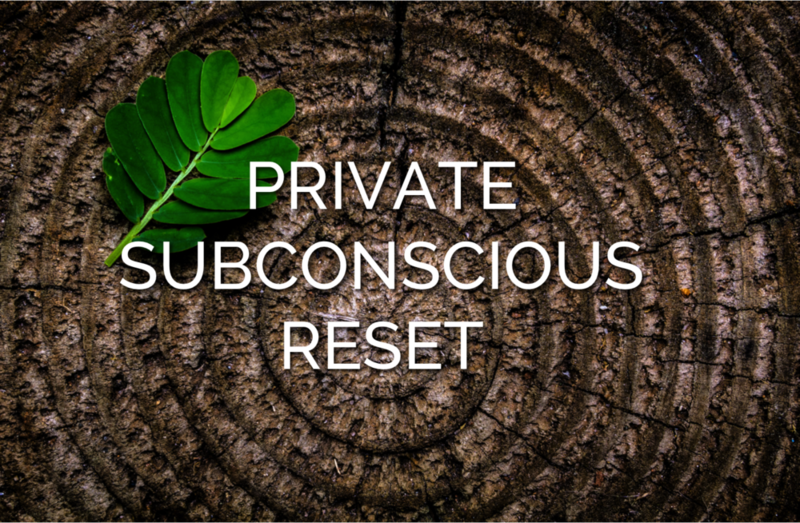 Your subconscious programs are set to create (and repeat) what you already have, not the life of your dreams. These dreadful programs come from past generations, from your upbringing and from the world around you. The GREAT news is that you can change all of them! Plateauing in your career and income despite your best efforts. Finding yourself in the "same relationship" over and over, only with different people. Create new beliefs, new programs and a new identity, that allow you to create a different reality, with ease. I can help you rewire your internal set-points so you can break out of the patterns you keep repeating. The Discovery Session is free of charge and it gives us an opportunity to get to know each other, to explore what it is you're dealing with and what working together will be like. I promise you'll emerge with a clearer idea of what's holding you back and some insights into what it's going to take to change it. This set of seven 15-minute meditations will help you start exercising your mind so that you may become more masterful in harnessing your mind as a tool, rather than allowing your subconscious thoughts to dictate your reality.